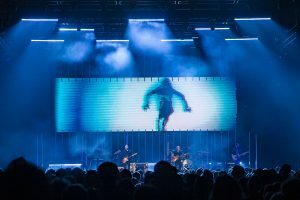 Tears for Fears was one of the UK bands who helped define the sound of 1980s pop-rock with classics like “Shout” and “Everybody Wants To Rule The World” – and this year they are back on the road in style, kicking off 2019 with a sold-out UK and European arena tour … for which lighting designer Alex Reardon, from LA-based creative design practice Silent House, delivered a stunning lighting scheme. Alex utilised 66 x Robe MegaPointe moving lights a key element of the rig – among other fixtures – to imagine a memorable looking and highly flexible lightshow as the band delighted enthusiastic audiences – original and new – and fans with their diverse catalogue and multiple hits that have etched their place in 20th century music culture. He positioned the multipurpose MegaPointes everywhere in the rig. 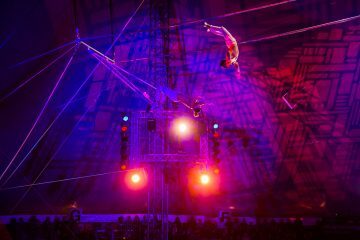 Thirty – 10 each – were rigged on three overhead trusses, some were positioned upstage behind a row of LED video pixel battens, there were three per side on the deck for low-level cross lighting and another six in the air each side for high-level effects. He described the MegaPointe as “a perfect size and choice for multiple lighting tasks” on this design. On the design process itself, Alex starts every piece of work with the same approach – a delicate balance between illumination and effects. 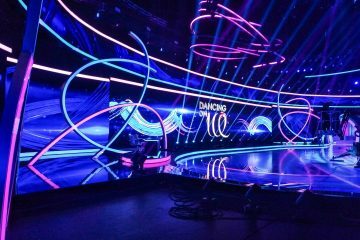 As a lighting designer, he feels his job is to find the “tipping point” for those two criteria and get the balance just right for the specific song or music. His goal is to create designs where every permutation and combination of the two can be created and mixed appropriately. 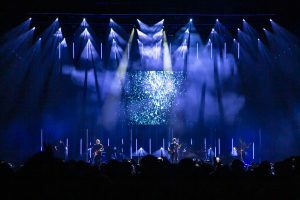 He’s also a big fan of using LED screens as light sources – which essentially is exactly what they are – and he was able to push this treatment during the huge numbers like “Shout” and “Change” which he found extremely satisfying. Architecture, shape and form – from buildings to performance spaces – has always been an inspiration for Alex’s visions of stage or performance environments, and in this instance, he chose to keep the look very straightforward with simple, clean, straight, directional lines and “no visual fuss”. Juxtaposed against this, he let the cueing, contrasts and timing do the “heavy lifting”. He and Richard White previously worked on The Black Eyed Peas … where Richard’s calm, professionalism, sense of rhythm and excellent timing really impressed Alex. Richard recently directed / operated for him in China on a Jesse J tour using local promoters and productions. Having dealt with the unpredictability of this with so much panache, Alex knew that he’d be ideal for the Tears tour, which he also felt it offered a bit of a “karmic salvation” by comparison! 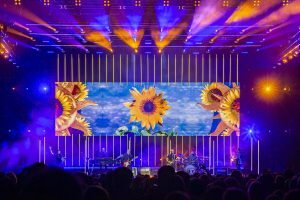 Lighting for the UK and European dates was supplied by award-winning London based Neg Earth – who Alex thinks should win another award for “Best Prepped Rig I’ve Ever Seen”. The whole process between production manager JB (Jean-Baptiste Blot), band management and himself was very transparent, and any elements that potentially could have been mountains on another tour proved to be proverbial ‘molehills’ on this one! “We just worked through it! Anyone who has worked with me knows that I only ever ask for what’s needed to give the client what they want”. 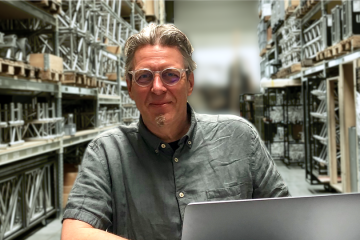 Having been given everything he needed – an expert programmer, an accomplished operator, a fantastic lighting company and some time … they got what they wanted!